Home Features EXQUISITE LOCATION Why is Ballyfin considered the best hotel in the world? EXQUISITE LOCATION Why is Ballyfin considered the best hotel in the world? 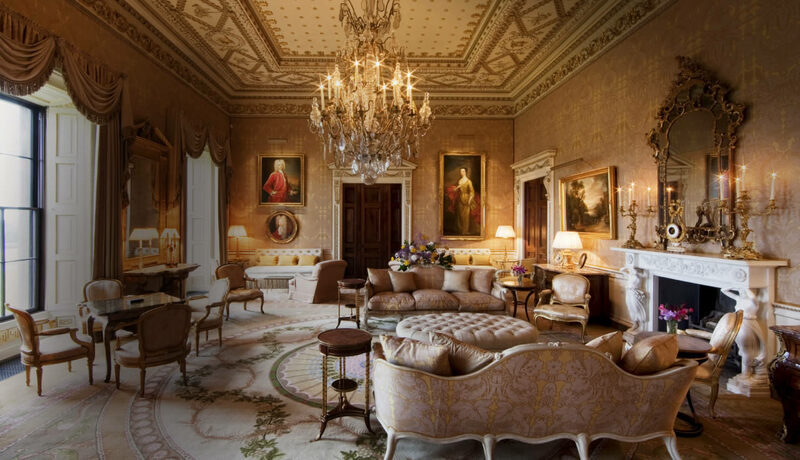 Set at the foot of the Slieve Bloom mountains, Ballyfin house in County Laois is noted as one of the best hotels in the world and has long been admired as the most lavish Regency mansion in Ireland. 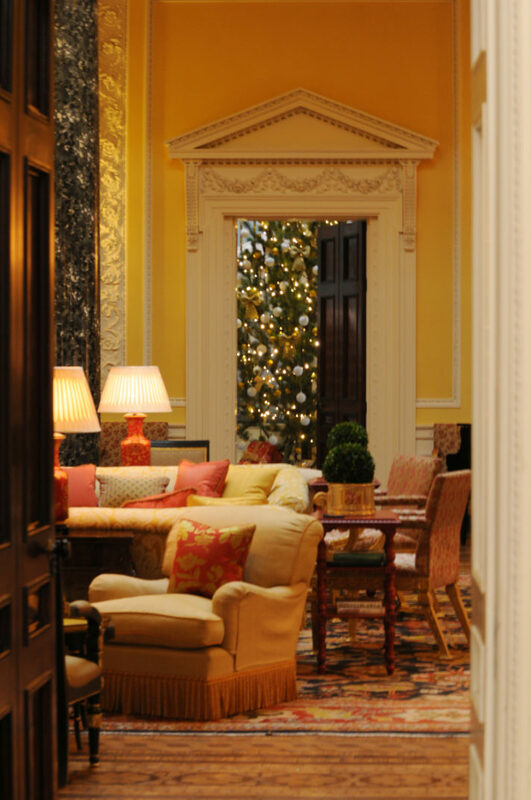 Following eight years of restoration, the house re-opened in May 2011 as a five star country house hotel. 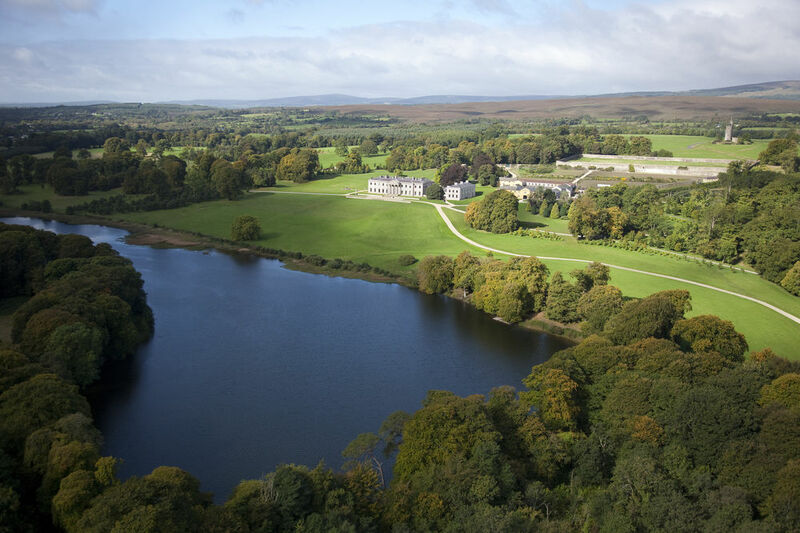 With only twenty rooms for the 614 acre estate, this 5 star luxury hotel takes exclusive to another level. 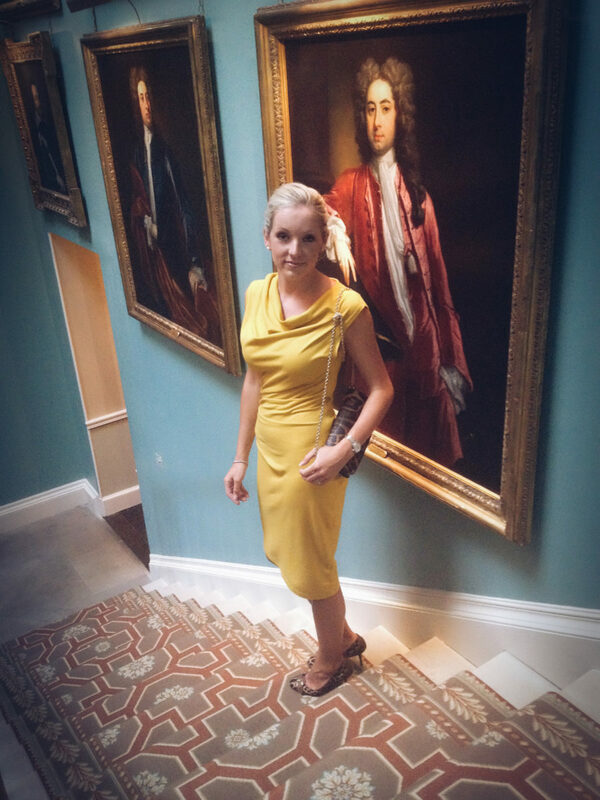 Beauty expert Anita Murray has got a thing for Ballyfin and explains to Exquisite.ie the allure of the hotel. Anita Murray: Ballyfin is a place of history, romance, tranquility and great natural beauty. I was fortunate enough to visit not long after it opened its doors after almost 10 years of restoration work. It quite possibly ruined every future hotel experience for me, as nothing has since compared. 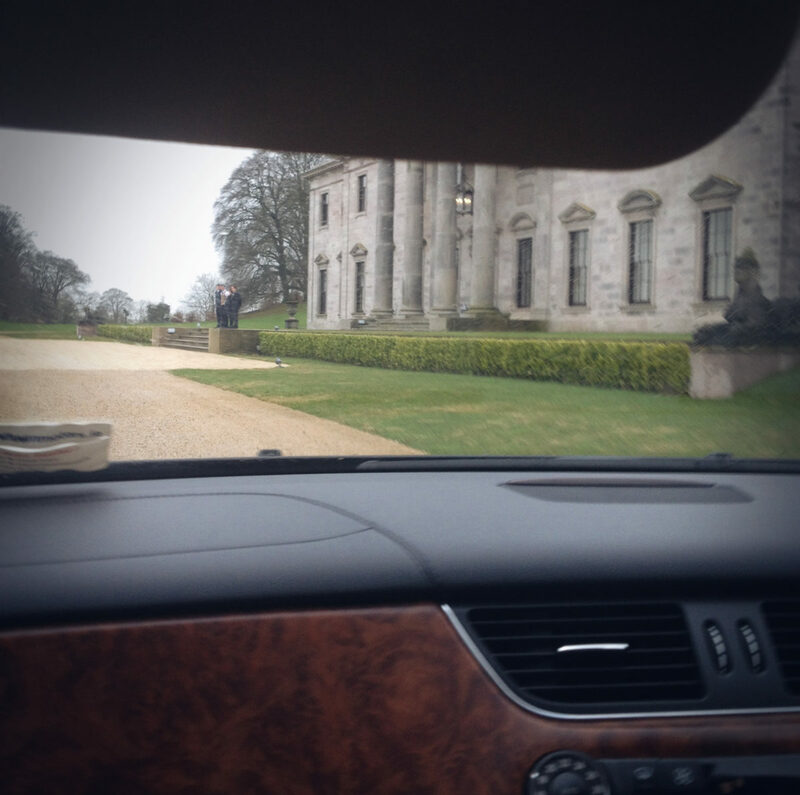 This year the Condé Nast Traveler Readers Choice Awards 2016 voted Ballyfin Demesne the best in the world. It had been a while since I had enjoyed a little getaway, and some time out was well-overdue. Approaching Ballyfin, not for the shy! As you approach the house a cadre of uniformed staff are awaiting on the front steps to greet you, I am a pretty relaxed, no-fuss type of person, so on first impressions I felt very humbled and almost embarrassed to have this large team of staff standing to my attention. However we were greeted by the most genuine, warm, interesting and hospitable group of people you could meet. If you are expecting salubrious shades of the Celtic Tiger you will be disappointed there is nothing haughty or pretentious about Ballyfin. We checked into the Wesley Pole Suite overlooking a stunning water cascade. The room was magnificent: the chimneypiece, in white and Siena marble, is the finest example surviving from the Georgian house of the Poles from the 1600 and 1700s. Once we dropped our bags we set off to explore the finely appointed reception rooms. 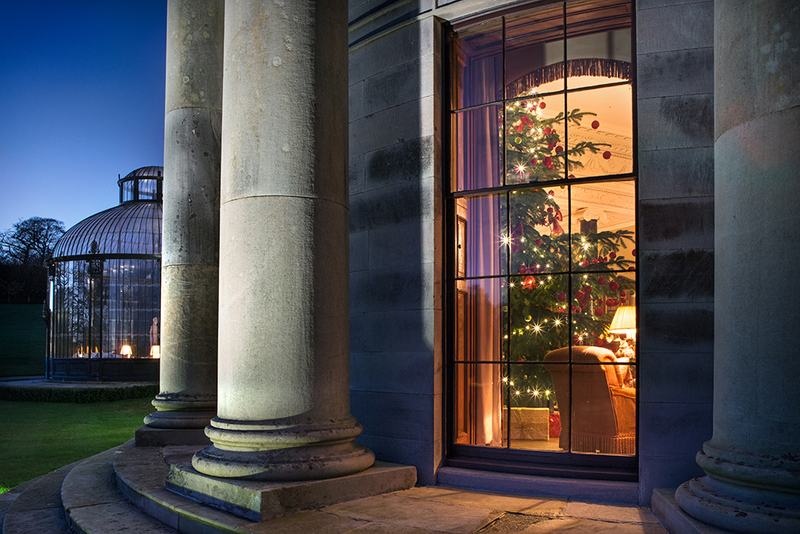 The house is bejeweled with the finest 18th and early 19th century art collection held in private hands. 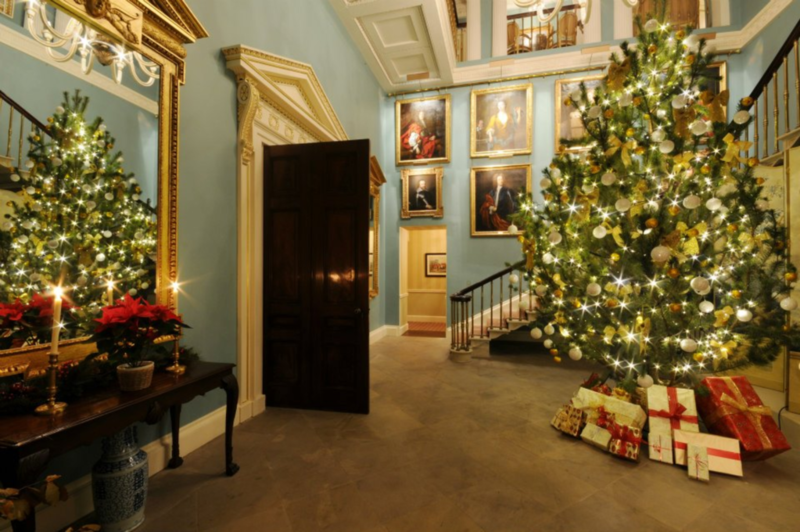 The library stands out as one of my favorite rooms a beautiful space glowing with large open log fires and during our visit had a fabulous 12ft spruce Christmas tree decorated in the centre of the room. From the moment we arrived the service was exemplary. It was attentive but unobtrusive and staff are always on call with cake, cookies, teas and coffees. As you settle in, the setting is far from being as formal as it appears at first sight. We rarely bumped into other guests and the whole experience feels like you are a guest in your own home. We loved taking the house bicycles around the 600+ acres of ancient woodlands and enjoyed the sprawling views of the magnificent Slieve Bloom Mountains. There is also complimentary golf carts outside the front of the house if you fancy a more relaxing trip around the grounds. 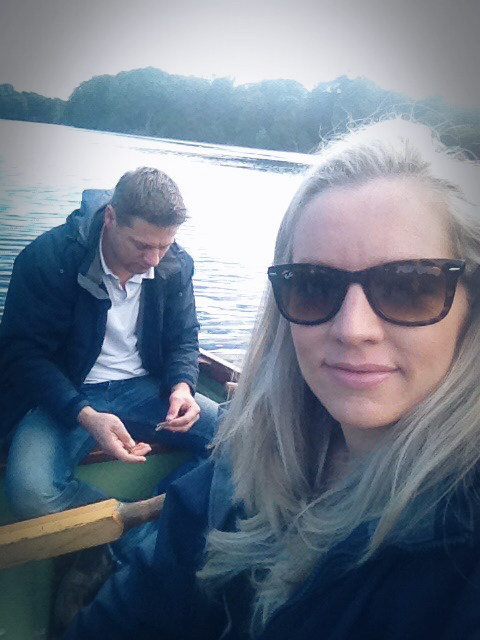 In the afternoon we took a boat out on the lake and went fishing – not a usual pastime of mine. When I realised I was going to be my husband’s gillie and row him around the lake for two hours, I was going to take a rain check and make a break for the spa. Instead it turned out to be so relaxing and really great fun, we even caught a fish. Declan, one of the fabulously helpful and friendly members of staff told us if we happened to come upon the catch of the day, the chef would be pleased to prepare it for us. Much to my husbands horror I opted to throw it back. Further up the property there is a beautiful walled garden, a grotto and a wonderful tower that allows you to see the entire countryside. As we climbed the turret stairs I though it would be a beautiful setting for a romantic proposal. There are many more fun activities to partake in, including tennis, archery, clay pigeon shooting and horse riding. An unusual activity that I wouldn’t ordinarily be drawn to is fancy dress. Ballyfin holds a stunning collection of period costumes from the Lyric opera company in Chicago. You can actually visit the costume room and dress up. We spent a hilarious hour checking out frocks, petticoats, bonnets and Napoleon style uniforms that wouldn’t be out of place at a Balmain show. Shoulders back, sit up and elbows off the table! The grounds are amazing and it is really lovely to be able to wander around the vegetable garden and see things growing that are on the menu. That leads me to one of my favorite aspects of Ballyfin. The dining experience is stunning and dinner is served ceremoniously. We enjoyed a champagne reception before dinner and it was a lovely touch to mingle and relax with other guests before dinner. Head chef Sam Moody prepared a scallop starter and the Comeragh mountain lamb with mushroom puree and Ballyfin wild garlic for the main course. It was cooked to perfection and as consistent as everything else we had enjoyed throughout our stay. The pool and spa facilities lend a more contemporary feel but no less beautiful than the rest of the property, all the rooms and suites are very generously appointed with Irish spa brand Voya toiletries and the spa itself offers the full range of seaweed products and seaweed baths. I enjoyed a very thorough and relaxing prescriptive facial treatment, my skin was positively glowing afterwards. I had the beautiful blue tiled pool to myself afterwards – think of a swimming pool located within an exquisite regency-era ballroom! If I had to identify one perceived negative it would be the ‘no children under 9yrs policy. Although this is very acceptable in light of the serene and relaxing atmosphere captured there. Whilst it would be nice to have a family break, I guess I can wait the 7 years! AGE APPROPRIATE DRESSING Is it relevant anymore?